The United States Drug Enforcement Administration’s (DEA’s) Sixth National Prescription Drug Take-Back Day last month collected 50 percent more pills than the previous one, demonstrating the American public’s continued appreciation and need for the opportunity to discard unwanted, unused and expired prescription drugs from medicine cabinets, bedside tables, and kitchen drawers. On April 27, 742,497 pounds (371 tons) of prescription medications were collected from members of the public at more than 5,829 locations manned by 4,312 state, local, and tribal law enforcement agencies that partnered with DEA on the event. 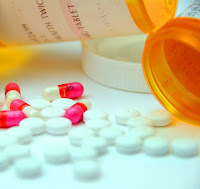 When added to the collections from DEA’s previous five Take-Back events, more than 2.8 million pounds (1,409 tons) of prescription medications have been removed from circulation.